The buyer didn’t realize he or she had to install the booster when they bought it. The person bought a cell phone booster only to find out that they didn’t have enough power to cover the area they want to enhance cellular signal. The purchaser lives too far from the cell phone tower to get signal. Cell phone boosters need some signal, even if it’s the faintest amount, in order to improve calls, texts, and data. Are you wondering what happens to the antennas and cables that come with a refurbished cell phone booster? We have the answer. These components are checked for damage by the manufacturer. If everything is fine, they’re repackaged with the booster and put back on the market as a refurbished unit. If these items are damaged or aren’t properly working, they are replaced with new antennas and/or cables. Note: Some refurbished boosters might have minor cosmetic scuffs and scratches. Considering that these units are barely used, you might wonder why the word “refurbished” is even used to describe them. They rarely break down, and broken units are thrown away because it’s not cost-effective to fix them. Despite all of this, the word “refurbished” has become the industry standard to describe “gently used” signal boosters. *Prices might vary, depending on various sales and promotions. 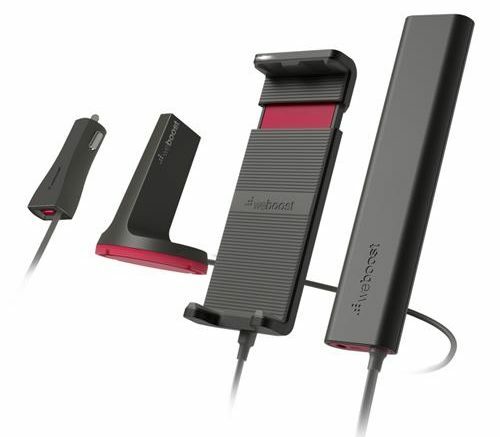 We also carry cell phone boosters from Hiboost, Smoothtalker, Surecall, Uniden, and Wilson. *Prices might vary, depending on various sales and promotions we might be offering. We also carry cell phone boosters from Hiboost, Smoothtalker, Surecall, Uniden, and Wilson. Yes, they are when you purchase one from Solid Signal. We offer a 30-day return period from date of original purchase, and each refurbished cell phone booster is covered by a one-year manufacturer’s warranty. Like I mentioned above, these refurbished boosters are practically brand new and, in most cases, they’ve barely been used. If you want to improve cellular reception in your home or vehicle, but you’re on a budget, a refurbished cell phone booster could be the way to go. What About New Cellular Signal Boosters? There are still plenty of good reasons to get a new cell phone booster. First of all, not every cell phone booster is available in a refurbished version. For example, we don’t have refurbished devices for trucks, SUVs, RVs, and big rigs. If you want a cell booster for your vehicle, you’ll have to purchase a new one. It’s the same if you’re gifting a signal booster to a family member, for example. Refurbished units tend to come in plain packaging, which doesn’t exactly say “Only the best for you” to the ones you love. There are also those people who want the best of everything. They’ll likely want a brand-new cell booster, and there’s nothing wrong with that. We understand that most people who need cellular signal boosters aren’t connectivity experts. They’re regular folks like you and me who know they can’t afford to keep having dropped calls and texts and faulty data downloads. These people might not know exactly what type of signal booster to get, or whether they should purchase a new or refurbished unit. That’s where we come in. Sure, we carry a wide variety of cellphone boosters, but it’s more than that. As this blog post illustrates, we’re all about educating people one what they need and why. If you want a refurbished cell phone booster or a new one, we can answer your questions and recommend the right product. Just give us a call at 877-312-4547.